Auctions provide the premier venue for any kind of equipment or machinery. Whether it’s plant, engineering, metal working, word working or tool making equipment, if it’s necessary to the manufacturing industry then it can regularly be found under the hammer. Quality machinery is often sourced from Commonwealth Government Departments and local councils. This is in addition to private enterprise. Auctions are undertaken both onsite and online. Online auctions allow for flexibility and accessibility – particularly in remote locations. Machinery and plant at auction is the affordable option for business buyers requiring updated equipment. Bidding can start at as little as $1 dollar, allowing the buyer to score massive bargain. Onsite auctions provide the traditional experience and allow for physicality. However, online auctions are becoming increasingly popular due to the convenience that they provide. A huge range of items for manufacturing can be sourced at auction. 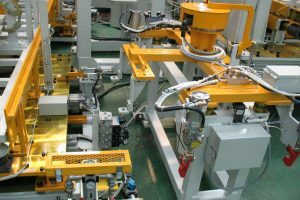 This includes such equipment as die cast tools, blow mould tools, plastic injection moulds, press and form toolmakers and automation and robotics. The list goes on. Often downturns in the manufacturing industry create a surplus of equipment that needs to be sold fast. This presents as a massive opportunity for any individual or company/corporation operating within the manufacturing industry. Plant Equipment refers to machinery that assists a manufacturing shop’s productivity. Such equipment might refer specifically to elevators, refrigeration units, security equipment and even safety gear. Plant equipment provides the cogs in the manufacturing chain. Safe, reliable plant equipment provides a productive environment conducive to profit. Sourcing plant equipment from auction houses is the smart way to acquire the necessary items to keep production moving. Goods are tested to ensure quality and safety standards and ex government stock presents a lucrative opportunity for business buyers. The equipment available at auction can easily meet engineering requirements, whether that takes the form of batching gear, radial stackers of conveyor belts. Smart decision-making and astute bidding at auctions can offset the considerable ‘as new’ cost of this machinery. Engineering equipment includes surveying equipment and tools for design and construction. Popular brands available at auction may include: Dormer, Goliath, Apache, Bosch etc. Auctions are the simple way to access quality manufacturing, plant and engineering equipment at prices that are geared towards a fast sell. They represent a value-for-money alternative to brand new equipment. Testing on equipment and ‘pre-viewing’ ensures piece of mind. Further safety checks and balances required by law are to be carried out by the buyer. This ensures the most productive and profitable work environment.